Chock full of essential information for everyone with parents who need care. You likely became a family caregiver by need, not choice. Now that you are one you want to know how to handle the role. You are willing to help but you know you have a lot to learn. Plus, being a family caregiver takes stamina, patience, insight, compassion, knowledge and time. All-In Caregiving is a practical resource to prepare you for this new role. What do your parents need from you? How can you help them stay safe but also continue to live the way they want to live? Can you help them with what they want and still be the best caregiver? You want to support their personal choices for life, but you’re not sure how to go about that. All-In Caregiving shows you how to know what is important to your parents and what isn’t. So you can help them live the life they want to live. This highly informative book is available at Amazon and at bookstores. Being a family caregiver is difficult and demanding. All-In Caregiving shows you how to be prepared for this important role. Be the kind of caregiver you want to be. Know the best care decisions for an elderly parent. Stay in charge and protect your loved one from the potential hazards of hospitalization and medical care. Availabe in ebook and paper format from Amazon. CLICK HERE FOR MORE INFORMATION ON THIS VALUABLE CAREGIVING RESOURCE. The all-in prepared caregiver knows what to expect and how to make the right decisions for parents who need help. All-In Caregiving shows how to deal with and care for the health and wellbeing of an elderly loved one. The wealth of information in this book gives a caregiver the confidence to make the right decisions and avoid the wrong ones. 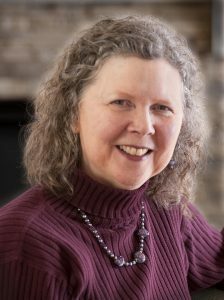 The author, Christine Klotz, is a nationally recognized expert in care of the elderly with a solid professional reputation based on many years of working with older adults and their families. She takes much of the guesswork and anxiety out of caregiving by showing the unpaid family caregiver what to do to be prepared and confidently take care of a loved one. Christine began her career as an occupational therapist (degree from University of Southern California) and later earned a degree in health care administration from the University of Colorado. She has been the Director of Marketing for National Jewish Hospital, was chief executive in the start-up of two Programs for All-Inclusive Care for the Elderly (PACE), and was CEO of Senior Health Partners of New York City (a partner with Mt. Sinai Hospital). She currently serves on the boards of directors for several non-profit organizations devoted to the health and welfare of older adults. All-In Caregiving book author and web site host.